Another thing that you could do is listen to music. From my experience, if you’re listening to music on your phone and not doing anything else, the battery doesn’t die down as much. That way you could still use your phone if your bored and not waste the battery as much. If you know you will be out for the day, be prepared! Use portable chargers to charge your phone throughout the day, for example, Fuel Rods. Plug your USB plug into a Fuel Rod, or portable charger, and it will charge. 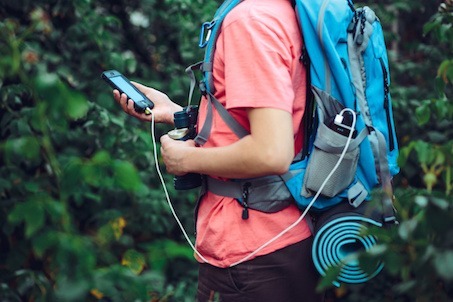 It’s good when walking around or when you’re outside when you’re not near any outlets. There are many ways to make your phone battery last all day. If you find your battery is not lasting as long as it should bring it in to Computer Corner and let us have a look at it.